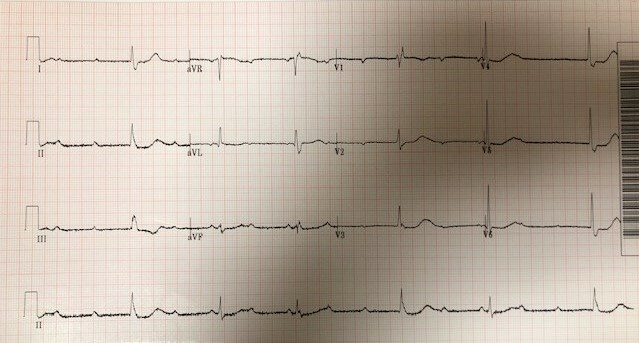 An 88 y/o male with a history of CHF presents after a syncopal episode. He does not remember the event. He is currently awake and alert. BP 130/80. The patient is hemodynamically stable. Atropine can be attempted. Pacing pads should be placed and the patient should be monitored closely. If no reversible cause is identified the patient will need a pacemaker. The EKG shows a bradycardic rhythm with absent P waves, a regular rhythm, with wide QRS complexes and a rate less than 30. 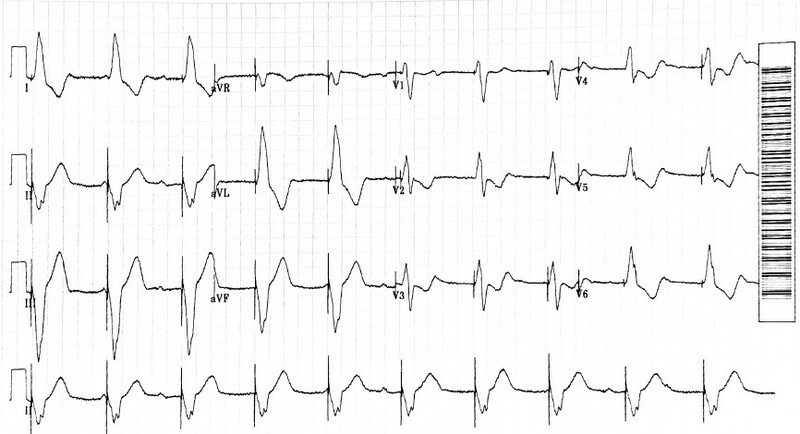 This is consistent with a ventricular escape rhythm. When the SA node fails, the heart has two back-up systems that can temporarily maintain a heart beat. One is the AV node (also known as the junction) which can produce a junctional escape rhythm. Another is the ventricles which can produce a ventricular escape rhythm (also known as an idioventricular or ventricular escape rhythm). This patient was symptomatic in that he had a syncopal episode. He had a normal potassium and was not on any medications that can cause bradycardia. A transvenous pacemaker was placed.